PA chairman's spokesman blasts Israel’s decision to implement the policy to offset the PA’s payments to terrorists. Palestinian Authority (PA) chairman Mahmoud Abbas’ spokesman on Sunday warned of “repercussions” from Israel’s decision earlier in the day to implement the policy to offset the PA’s payments to terrorists. “Any deduction from the Palestinian clearing funds is totally rejected and is considered a piracy of the Palestinian people's money,” said Abbas’ spokesman, Nabil Abu Rudeineh, in a statement quoted by the Wafa news agency. “The firm position of the President in which he affirmed that we will not accept any harm to the livelihood of our imprisoned heroes and the families of martyrs and wounded," said Abu Rudeineh. 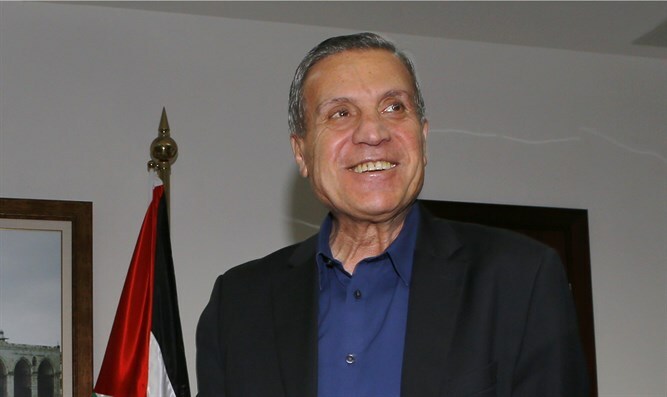 Abu Rudeineh warned that the Israeli decision “will have serious repercussions at all levels and will be given a priority at the meeting of the leadership led by the President during the coming days." The political-security Cabinet decided earlier on Sunday to implement the move.